There are cool spots to stay, and then there are cooool spots to stay (sorry, I’m legally required to make that joke when writing about snow and/or ice). 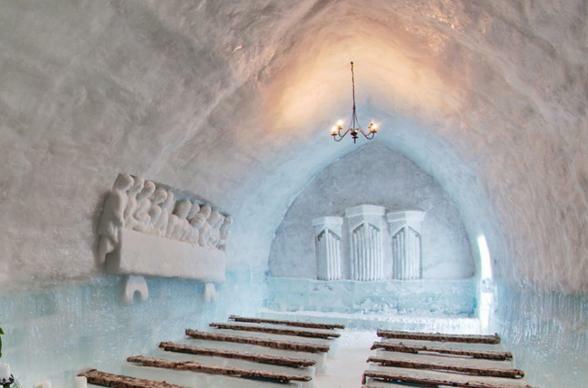 What we have here is the latter, a glorious lineup of the world’s greatest ice hotels, igloo villages, and icy caves that you’re more than certainly going to want to visit. 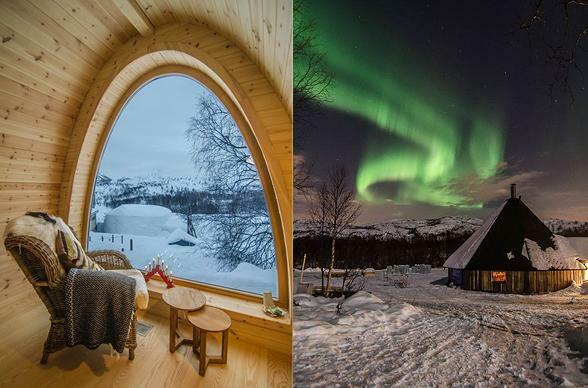 Epic, cozy, magical, and sublime—these are the places you want to stay at and/or explore this winter! Innovative, modern architecture charms and stuns in this rural village, where the natural landscape gives these chic lodgings a rather serious competitive edge. Floor-to-ceiling windows let guests practically devour panoramas of rugged landscape at any of the hotel’s detached room, all of which feature dark interior to keep the focus on the outside glory. 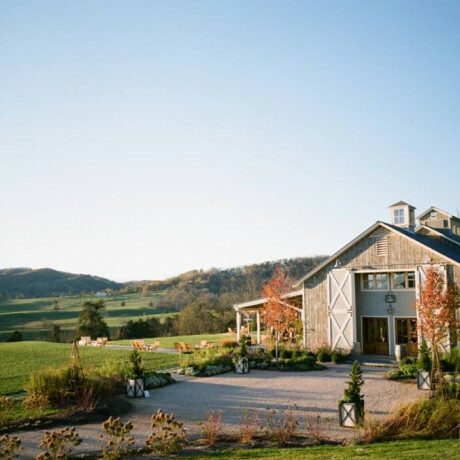 When a bit of hunger kicks up in guests, the friendly staff invites any and all to mosey on over to the mill house, barn, and farmhouse for grub. 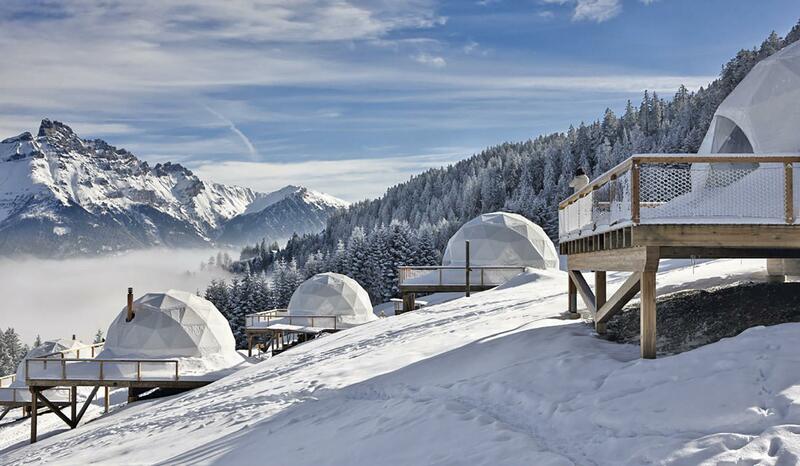 The ultimate Alpine experience awaits you at this eco-luxury hotel, where it’s just as easy to enjoy a sublime stroll through the silent forest as it is to barrel down private ski slopes. Embrace the glorious mountainous landscape, whether it's dog-sledding or snow-scooting through a winter wonderland or paragliding over the most picturesque snowy dream world you can imagine. When night rolls in and the stars come out, perch up at your geodetic pod on the hillside, heated by a wood-burning stove. If you’re still in a moving mood, trek to the celebrated chic restaurant for private dining and champagne for the ulitmate birthday #BucketList. In the northern hinterland of the Arctic Circle, this winter wilderness bewitches visitors with ancient mountains, pine moors, and tajga forests. Explore the resplendent terrain by way of snowmobile, dog sled, or skis. 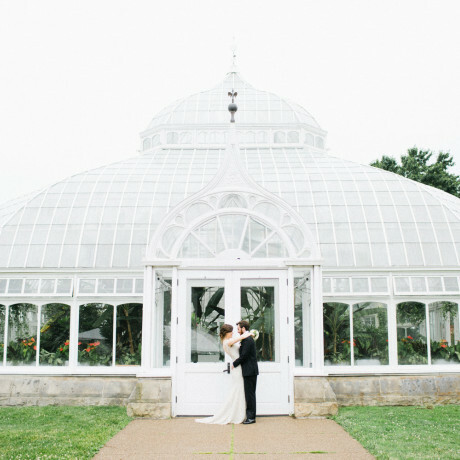 If you’re looking for a bit cozier of a time, this is indeed the place for couples, an idyll that makes each moment seem necessary for memory capture. 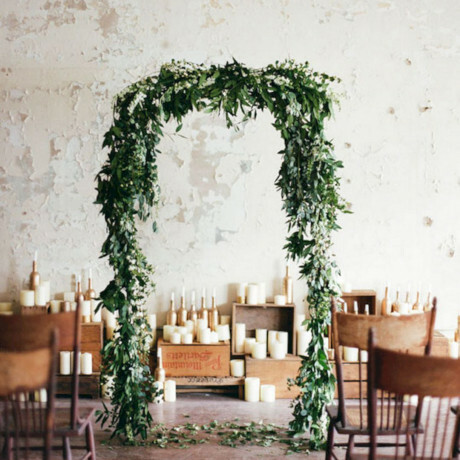 If you're on your way to gettin' hitched, definitely explore the local rustic 17th Century village church. 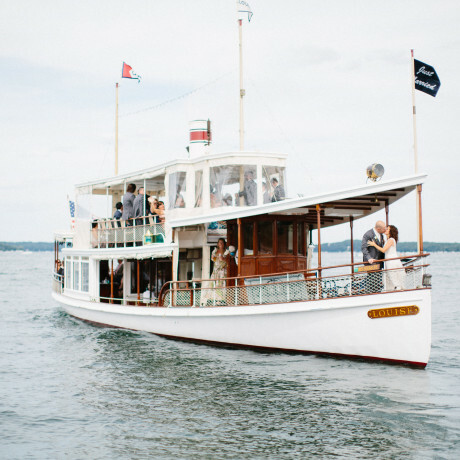 If you want your wedding or engagement photos to have an epic, ageless quality to them, this is likely your most righteous call in the northwest. 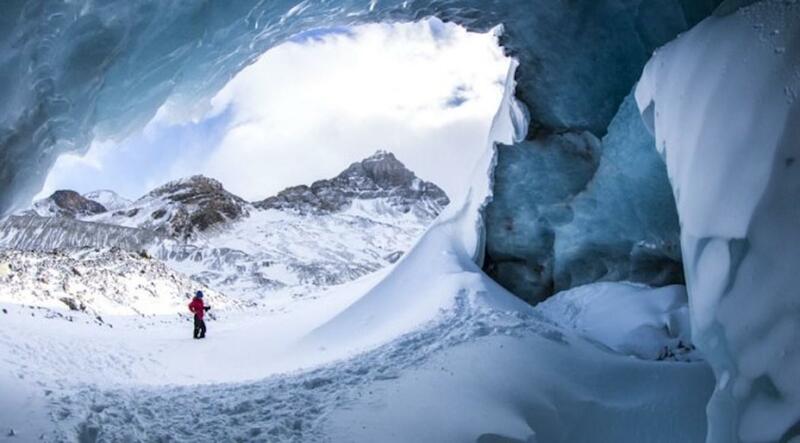 Natural ice ceiling and walls twinkle with an other-worldly blue beneath a mountain that’s surrounded by a winter wilderness that plays pure and majestic from every angle imaginable. Watch the northern lights twirl like colorful ribbons in the sky from the comfort of your private glass igloo at what looks like a romantic getaway in Narnia. Though it’s comfortably north of the Arctic Circle at the edge of total wilderness, where the air’s so fresh it feels like medicine and the water’s so clean you can drink straight from the nearby stream, you’re by no means on your own. An international staff is ready to serve and pamper you. 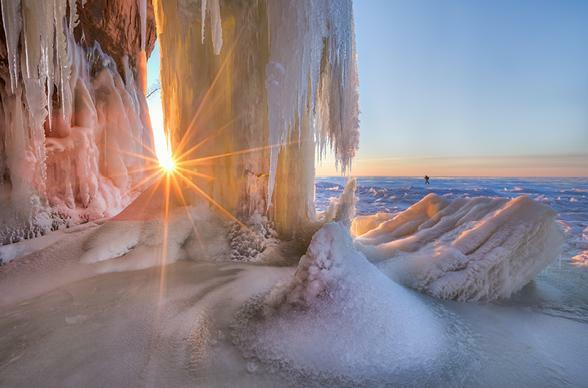 Not only is it daunting to realize this spectacular monument of natural ice sculptures exists in the U.S., it’s actually somewhat of a challenge to believe it’s even somewhere on this planet. Forcing local explorers to do double takes, given that it looks like an alien world or another dimension, this jaw-dropping sight is the result of centuries of the coastal waves’ work. 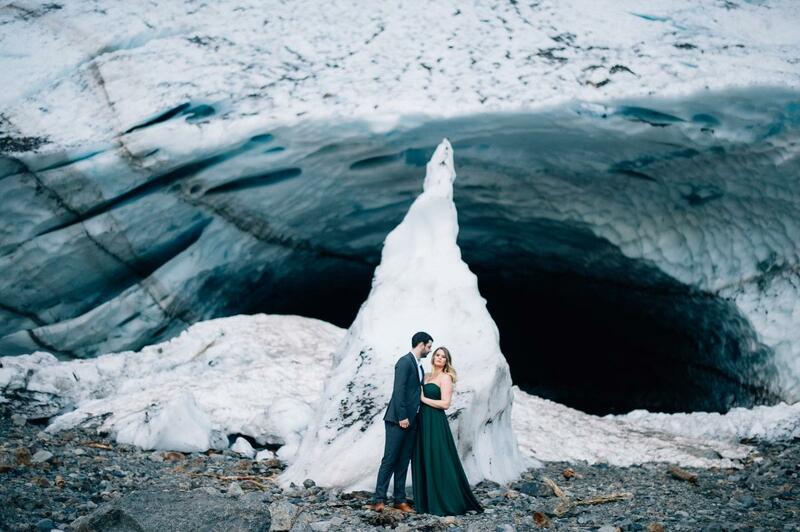 A mile hike from the beach, the ice caves continue on for nearly two miles. If you’re in the game to stay a while in town, Woodside Cottages is a darn cozy setup. 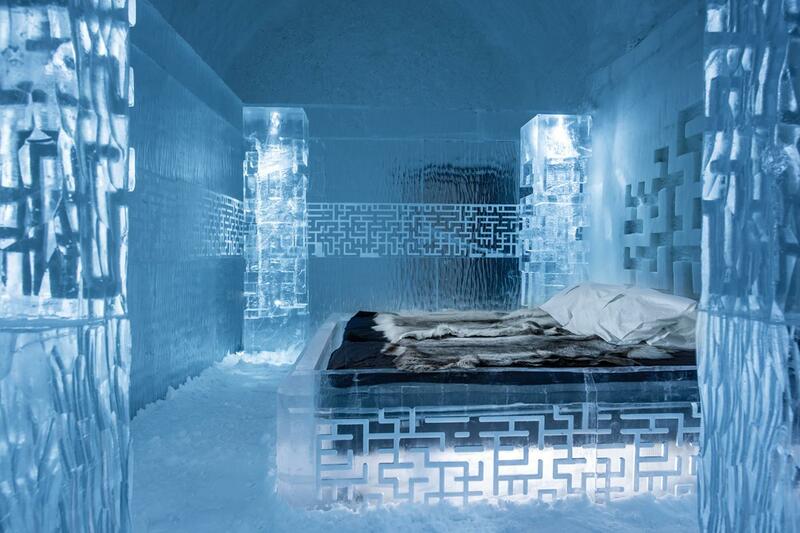 Head to perptual winter and stay at the world's first year round Icehotel. That's right, it never closes... or melts. Bigger and colder than ever, Icehotel 365 is only a hop away from the Arctic Circle and surrounded by thousands of meters of wide open land. 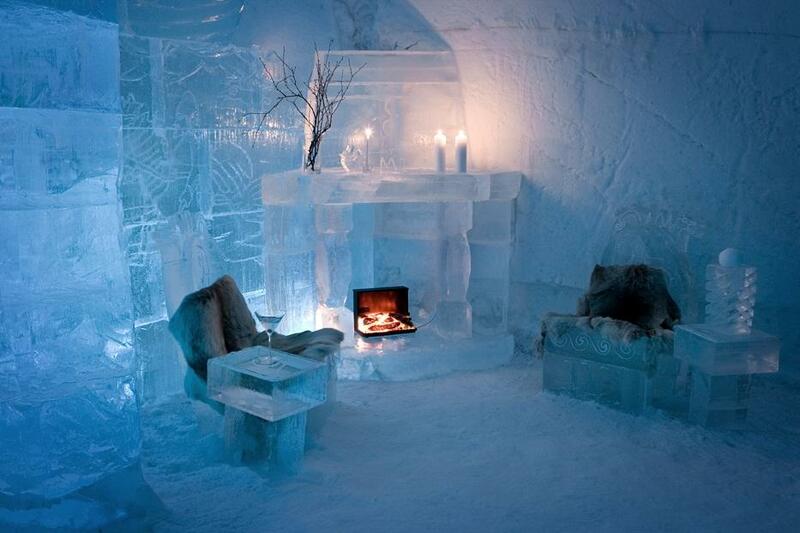 With 20 guest rooms and an ice bar, mix and mingle with fellow adventurers in the hottest cool place around. 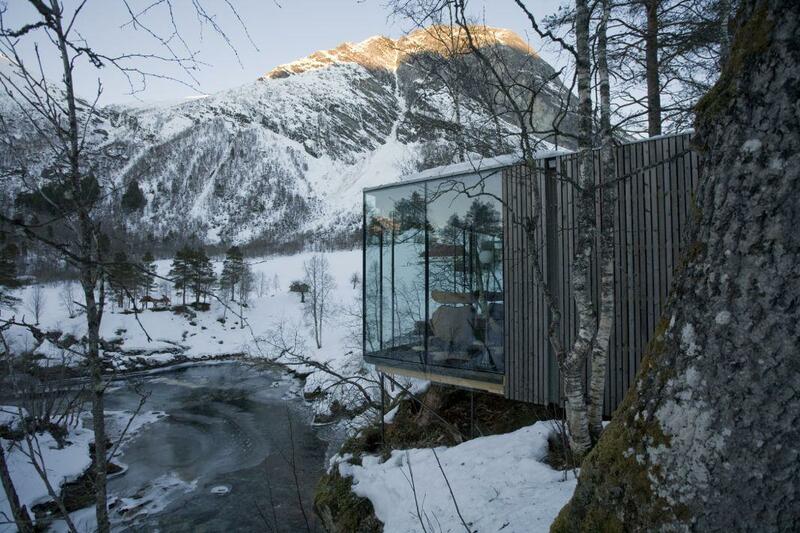 Explore the wintry wild with enough luxury to never let your nerves spin. 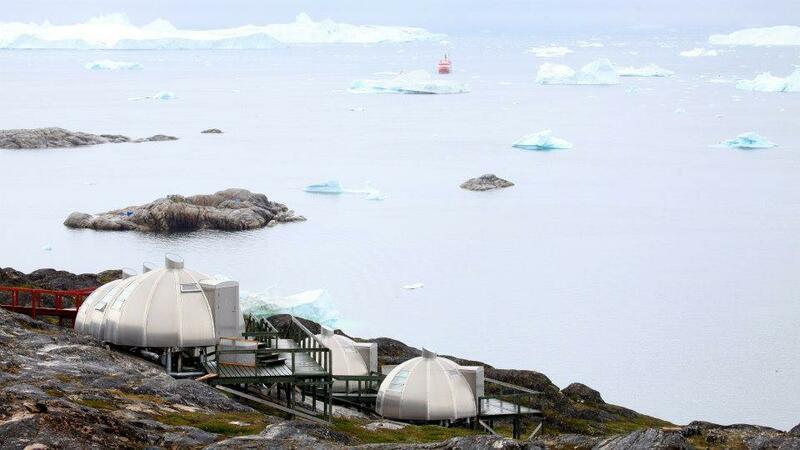 Whether you’re a couple or a family, retreat to cozy glass-ceilinged igloos surrounded by epic scenery and open skies. If you’re a larger group, set up shop at the Northern Lights House. Built into the ground, this dreamy subterranean haven of landscape windows and panoramic views includes a fireplace den and terrace, complete with hot tub. It’s the coolest way to experience the snowy lif, and if you ever need an extra thrill or two, there’s a popular resort town just down the road. Wandering around an icy alien-like landscape may suggest strange notions, but people don’t seem to realize how comfortable such a bold and one-in-a-lifetime adventure can be. What's most impressive is that you indeed spent the day inside glaciers and atop mountains, but you wind down in the evening at a camp that’s somewhere between a bed and breakfast and a luxury resort. Guests sleep in dome-shaped and heated cabin-pods that operate as a home away from home with all the comforts of a hotel room. Far away from city noise, beneath a colorful unending night sky, embrace a time of tranquility at this practically futuristic stay in the Article Circle. Glass-ceiling igloos give you the chance to fall asleep with the spectacular Northern Lights radiating above you as if in a dream. 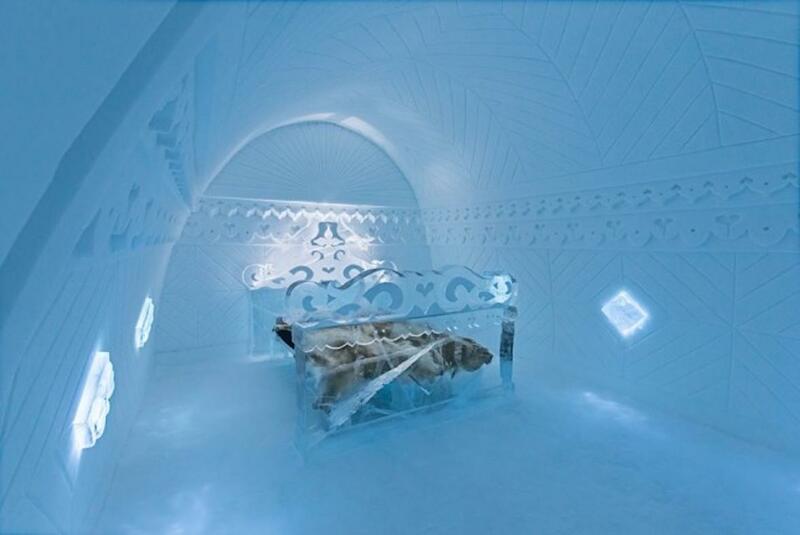 Rooms at the hotel are just as fantasy-like, enclosed in snow and ice and decorated with illuminated artwork. 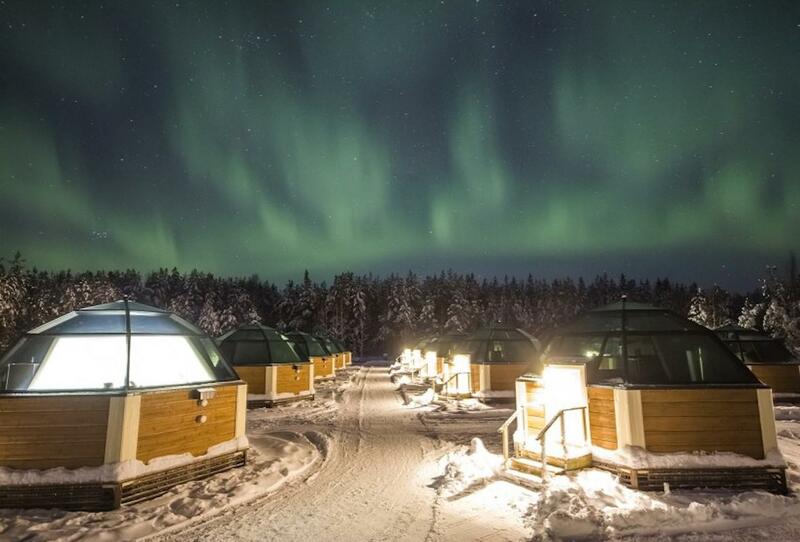 Take in the starry wonder at the lake’s shore before turning in or round out a long day of exploration with the snow sauna and outdoor hot tub. 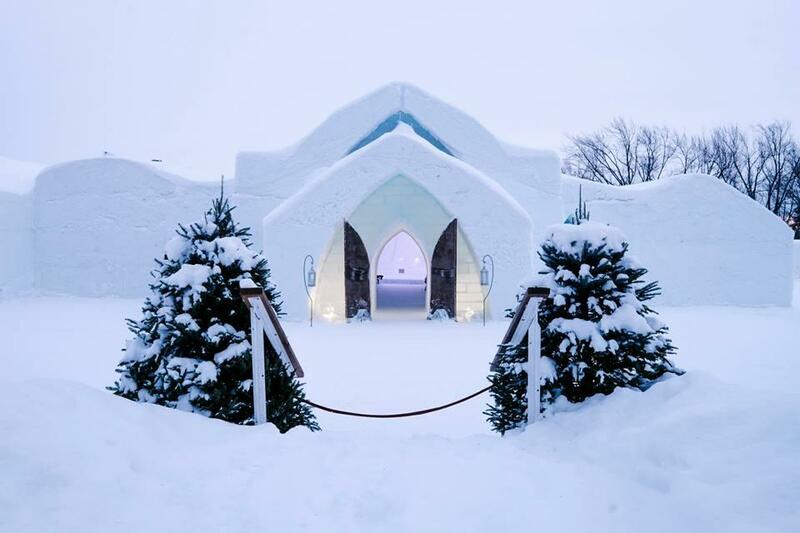 One of the most impressive structures you’ll (only) see in the winter, this pristine palace seems to have endless offerings—ice bar, ice café, ice chapel, suites with fireplace, private spa, and themed ice wall carvings. Bouncing outside the surrealistic snowy glowing estate, feel free to take on the terrain just about any way you you want, whether it’s snow-shoeing, ice-skating, cross-country skiing, dog-sledding, or snowmobiling. 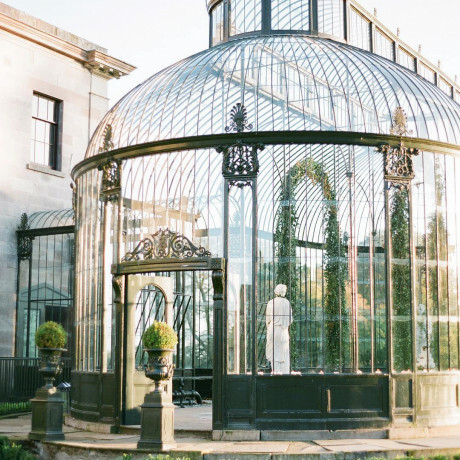 Visitors can also do up public tours, art exhibits, workshops, and cocktail parties. 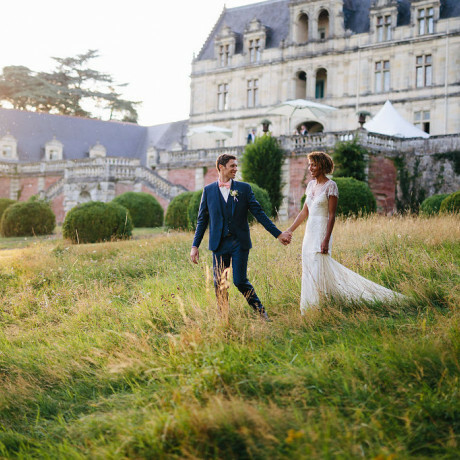 For couples, this getaway is fairytale material, given that, here, lovebirds can make horse-drawn carriage, fireworks displays, and a professional violinist happen. 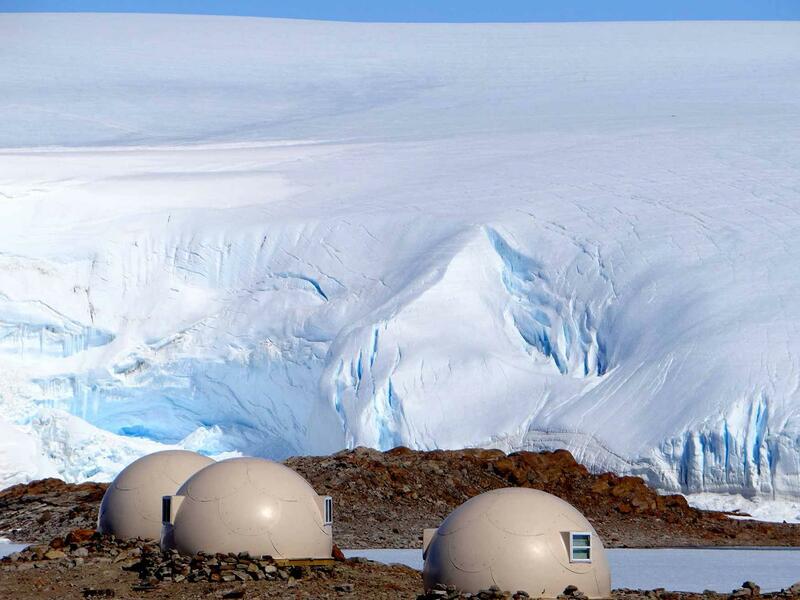 Live rugged luxurious with a stay in an igloo hut nestled beside the epic ice fjord. Surrounded by dramatic cliffs, the Disko Bay and its colossal drifting icebergs, this surreal spot will make you think you’ve reached the edge of our world. Watch the winter sun shimmer across the tranquil water, exploding golden light into horizon’s spread, and fell strangely at home. Constructed every year using four-foot long bricks of ice made from gorgeous nearby Balea Lake, this stunning ice hotel features a unique design each year. Its flooring architecture colorfully glows, presenting visitors with a surrealist quality, and there’s plenty for guests to take up outside (and have a blast), such as snowshoe-hiking, ice sculpting, ice-skating, sledding, and snowmobiling. 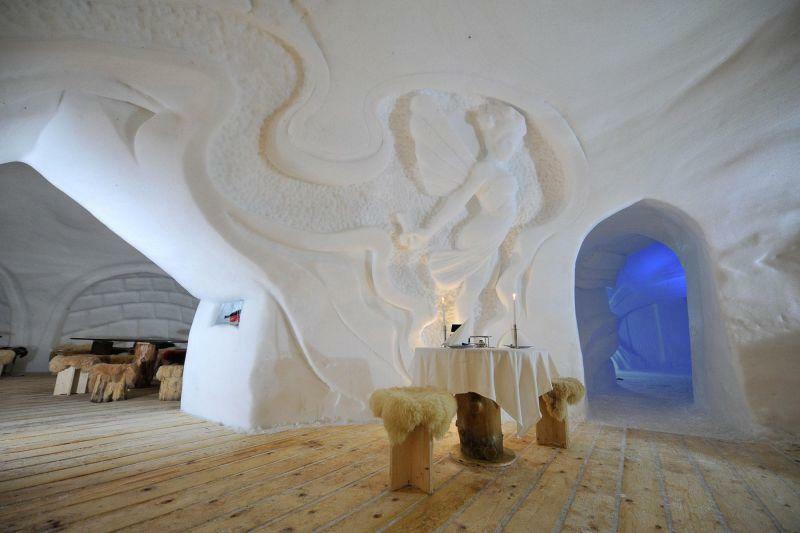 Find time to lounge about, however, like an ice king/queen inside the wildly cool monument of a hangout. 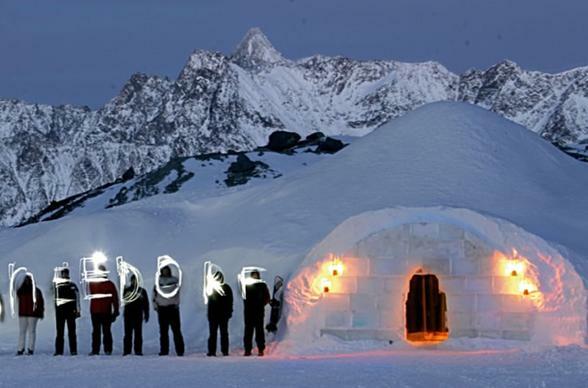 One of the coolest mountain resorts, this hideaway’s snow-and-ice igloos are a go-to for local relaxation and exploration. Enjoy the bar, restaurant, and event rooms while immersing yourself in a glittering world of snow that’s perfect for couples and families. It's also earned a superb reputation for corporate retreats, given experience in team building and development. It’s whatever you need it to be. Tip: Try out the late night fondue (pictured)! Take a chance to explore the Earth from the inside with this other-worldly opportunity. Rich icy colors glow as alien as they are pretty, and you and your girls have the chance to feel like legit explorers. It’s a totally different, very cool kind of outing. What could easily be mistaken for the North pole, this elegant hotel used more than 15 tons of ice harvested by the frozen lake nearby. With lit-up ice sculptures ensuring the lodging with a cozy, special atmosphere, you’ll have trouble leaving when the lavish jig is up. It certainly doesn’t help that each room is like a small treasure, equipped with detailed beauty and everything you’d need for a comfortable night. Besides, as far as the eye can see is some of the country’s most extraordinary natural beauty. 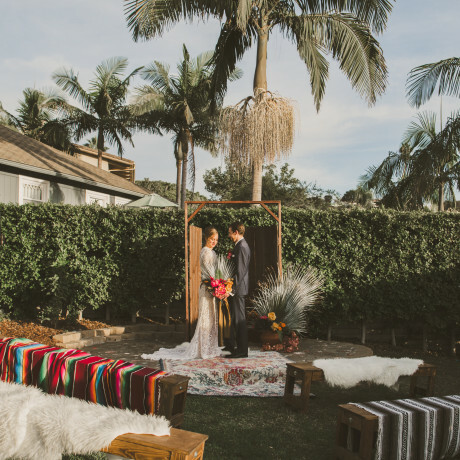 Cozy up with your friends or significant other in these charming igloos and inviting pods for sharing stories and laughter over a grand meal. Lone lanterns curate a warm, lovely vibe beneath a sensational, seemingly eternal night sky. 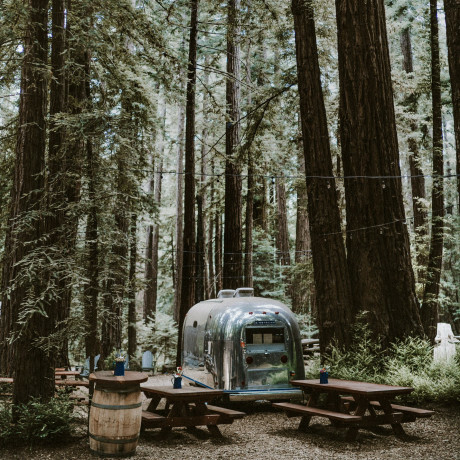 It’s the perfect setup to rest all easy, which is perfect because you’ll likely need energy for exploring during the day (or maybe another well-earned day of rest on the mountain slope). 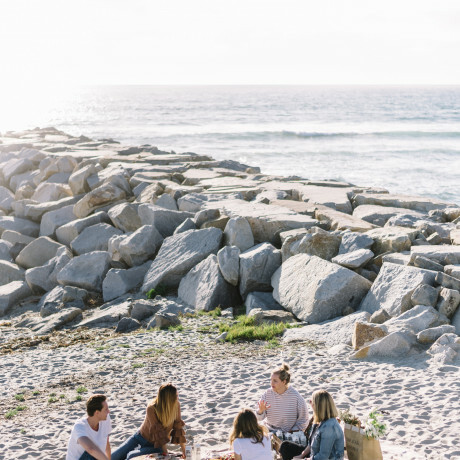 An unforgettable experience can be made here without much effort, whether it’s being draped in a deck chair on the sun terrace or enjoying fondue with your loved one(s). If you want to go bigger and badder, though, the country's steepest ski slope is calling your name. 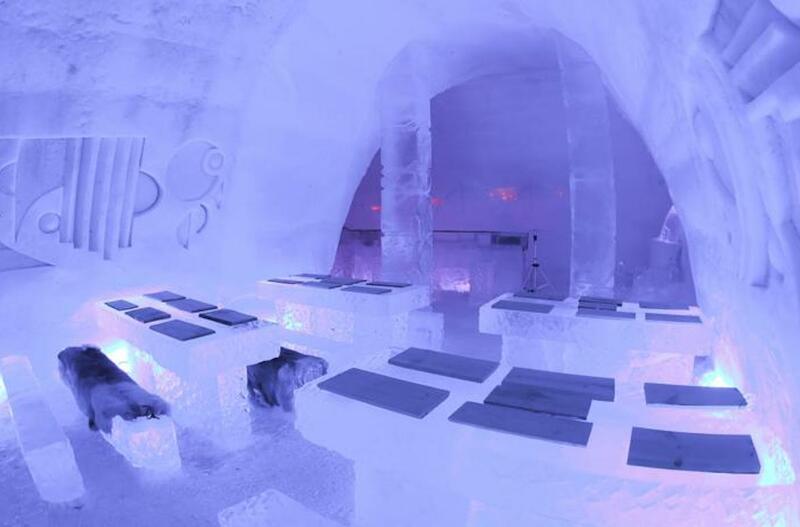 If you’re instead looking to mellow life out a bit, there's a top-notch ice bar nearby. In the quieter moments, be sure to take deep breaths of the fresh mountain air and be blown away by the monumental earth that surrounds you. Named for the beloved local fishing spot, this family-owned adventurer’s haven rests its heels on the Alta River’s shore. 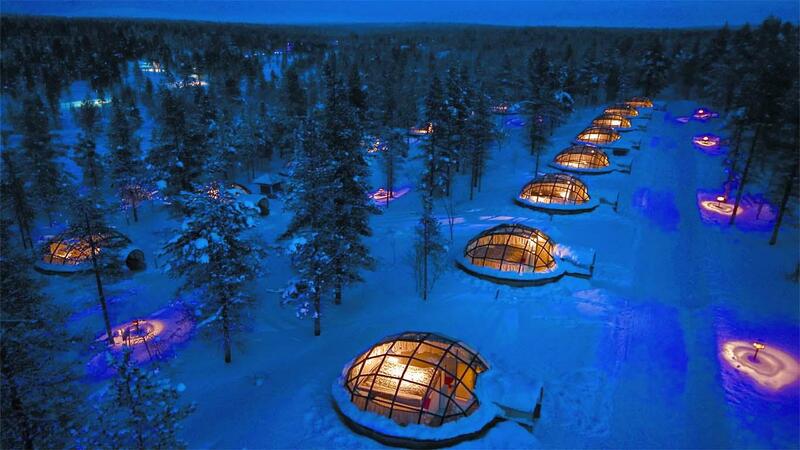 Considered Europe’s largest and the world’s northernmost ice hotel, there’s no shortage of activities in the area. Try snowmobile safaris and reindeer sleighs, we even customize adventures for groups. 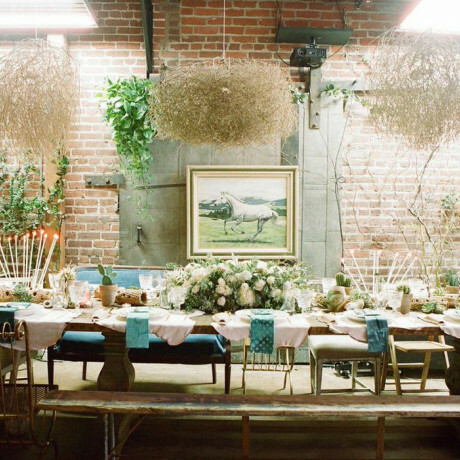 Heavenly vibes bounce throughout, with a color palette ranging from pristine white to rich blue. 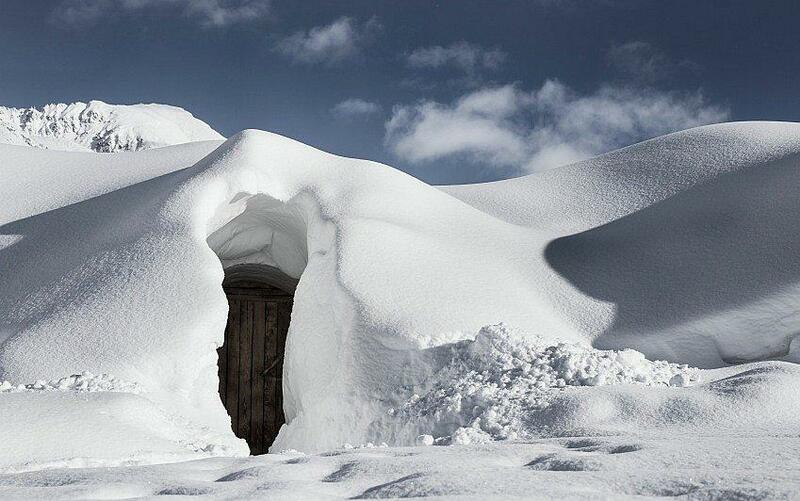 Escape to a private retreat at one of area’s most fun spots for skiers Relax and/or romance at your private igloo designed by professional snow artists. If you’re looking to pick up new skills, build a traditional igloo or learn to dogsled with a certified guide. There’s always snowshoe-hiking, curling, snowtubing, and snow soccer, along with a drink at the snow bar, if your muscles demand it afterward. Tucked away in the Arctic Circle, this dazzling winter village includes a snow hotel that welcomes and intrigues with snow rooms and suites, an ice restaurant (pictured), an ice cocktail bar, and an ice chapel. 20 million kilos of snow and 350,000 kilos of crystal-clear natural ice are used every year to built one of the world’s most spectacular stays, changing shape, size, and design with each passing winter. But it’s also one of the world’s most warm, inviting getaways, as you can start each morning with hot berry juice and a buffet breakfast in the toasty log restaurant. 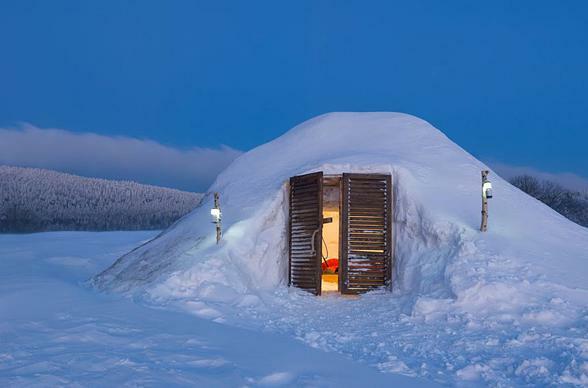 Ditch out on the humdrum and bail for a few nights at this snow skier’s paradise. Thrill yourself with tubing and mushing as well as snow-biking and snowshoe-hiking. If you're on the prowl for something a bit hotter, then head for the folks, as the hotel offers up social reas, like a bar-restaurant, terrace, and hot tub. 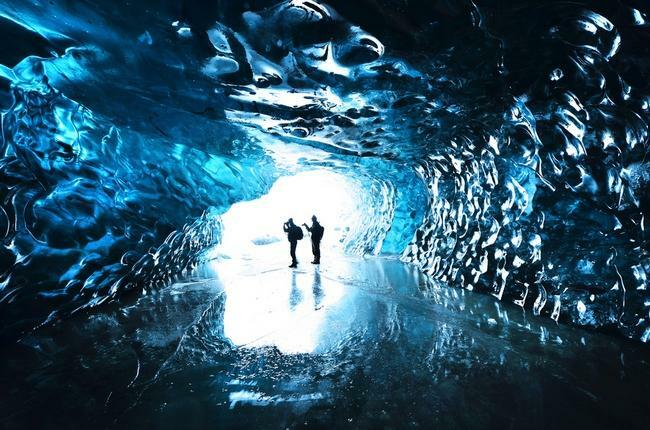 A natural masterpiece created by the Vatnajökull ice cap—when the glacier and coastline had itself one heck of a rendezvous—the deep-blue coloring of the cave radiates like a historical jewel that’s only ever seemed like a wild rumor. The centuries-old ice that crafted this awe-inspiring subterranean chamber came from the country’s tallest active volcano. 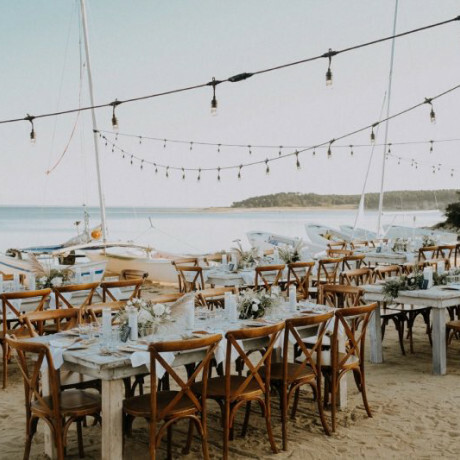 Opening up right onto the beach, this surreal wonder feels like a chic nightclub run by Mother Earth. 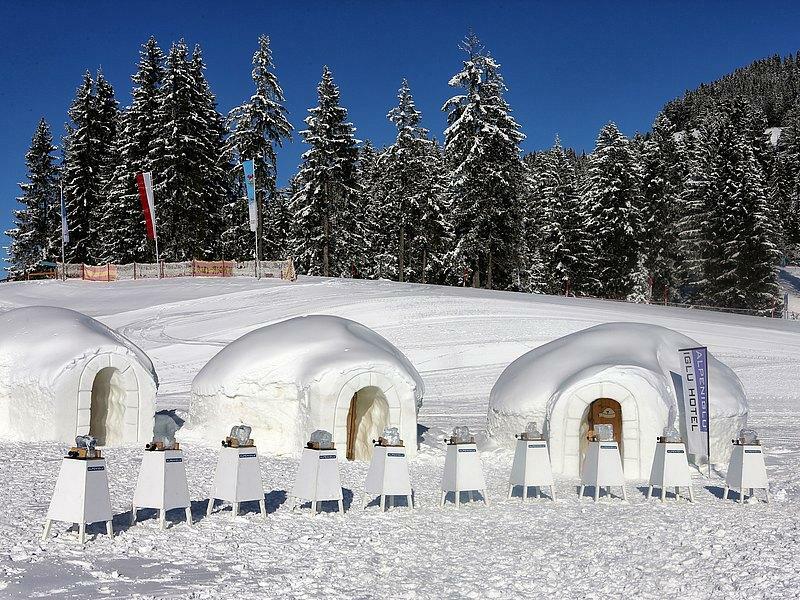 Withdraw into the serenity of the Bavarian Forest National Park where an extraordinary igloo village awaits. Learn how to build an igloo yourself and explore the wild surroundings on a snowshoe tour before returning to your leisurely home away from home's campfire. Feel any nerves melt away in your candlelit retreat. Live like a stylish modern-day VIP viking at this chic snowy village, by way of mountain cable car. 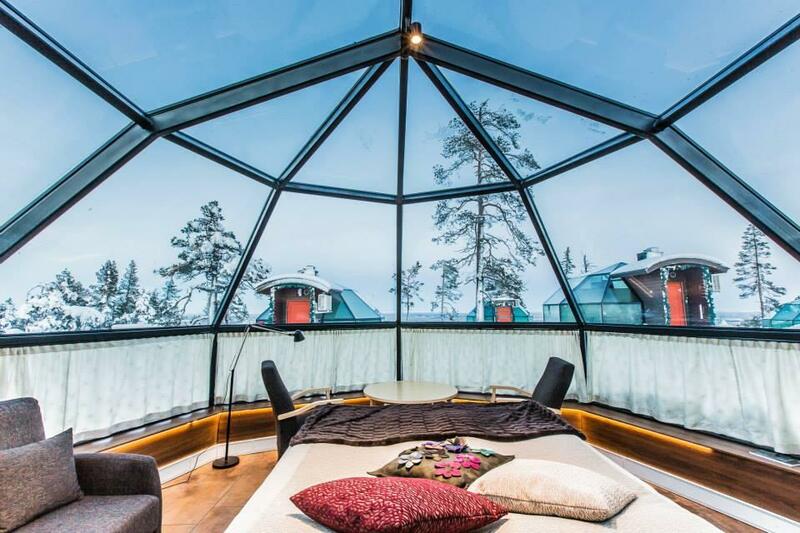 Rest easy and cozy in your igloo suite, take up laughs over dinner and cocktails at the crystal-clear ice table, and be blown away by what a winter holiday can look like when done right. 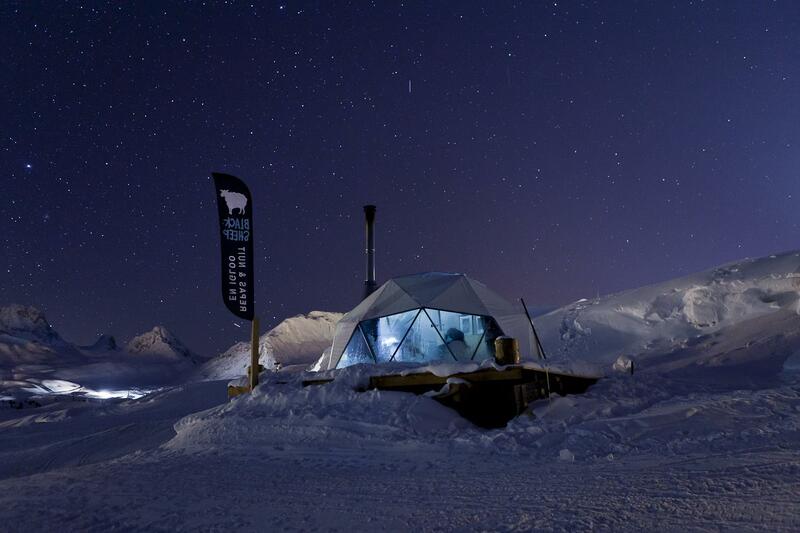 Carve your own ice sculpture or take a nightly torch walk under the stars, here at what looks like the last, warm outpost before the total wild of the bleak, beautiful unknown. 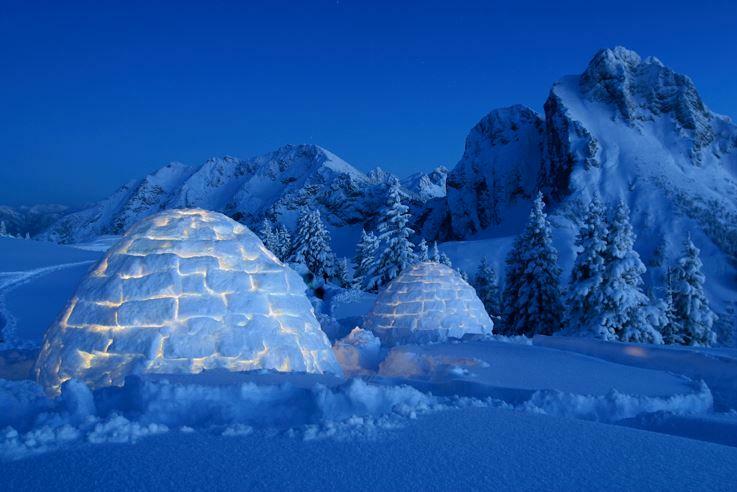 Feel on top of the world as you build your own igloo to then sleep inside. Nestled on the summit of Breitenberg Mountain, this dreamy landscape makes it a challenge to recollect seeing prettier scenery. Even up close, you’ll wonder if you’re on a movie set because of the way the light dies serenely into the dark blues and soft whites of the seemingly indefinite evening world. 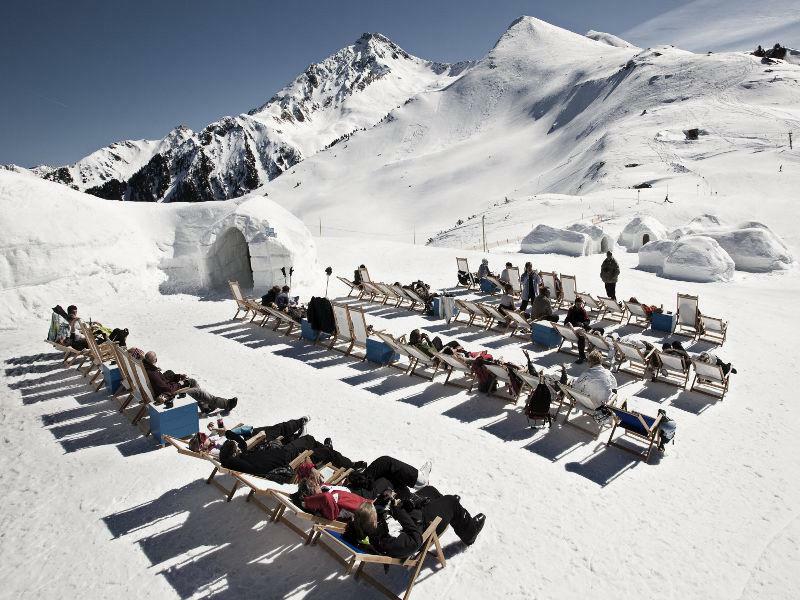 Disappear into the magical Tyrolean mountains and watch the sun set into the Lechtal Alps. 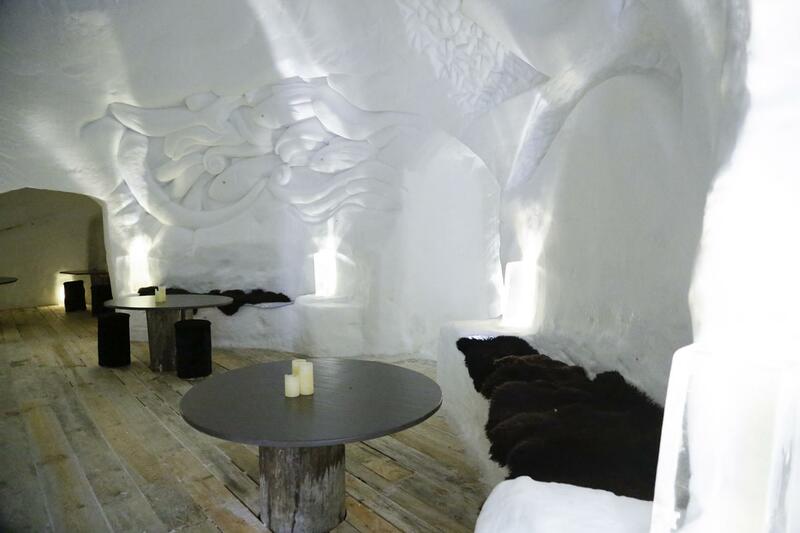 Then spend a warm, candlelit night in a private igloo with your special someone and champagne, or crash in a larger igloo with friends, complete with cheese fondue and mulled wine. The promise of adventure and tranquility awaits you here, where you can take up new interests of attending a igloo-construction workshop or tackling the high-wire garden in the unique Ötz valley. 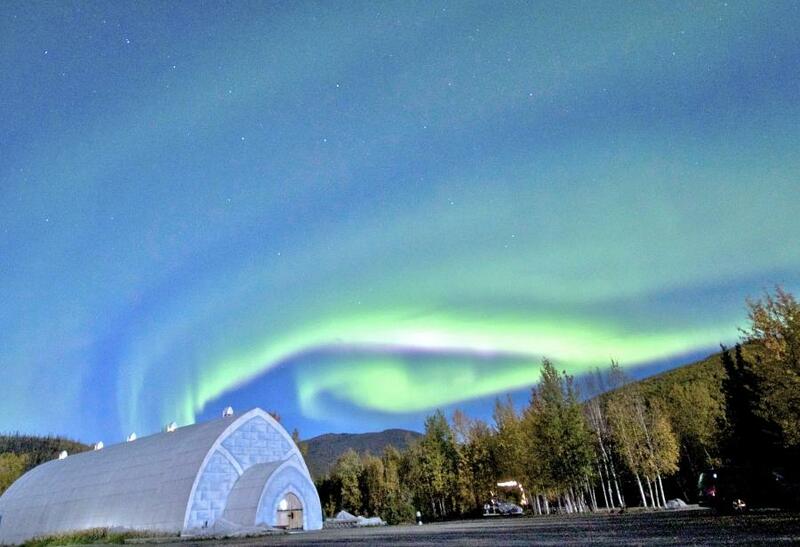 At Chena Hot Springs Resort, you’ll find this enchanting blue-and-pink vaulted-ceilinged edifice, created from more than 1,000 tons of ice and snow. 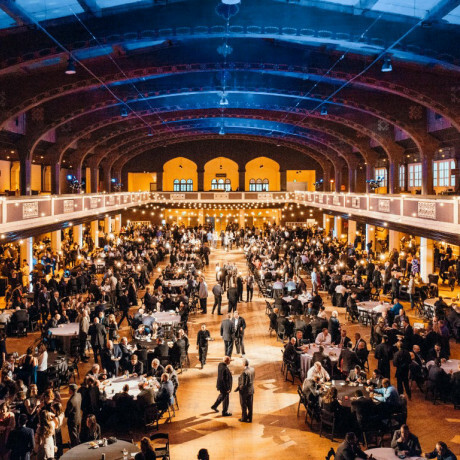 It’s Disneyland meets speakeasy, and it’s the largest year-round ice environment in the world, thanks to their own patented absorption chiller. Home to a two-story observation tower, several themed rooms, and many amazing ice sculptures including lifesize jousters on horseback, this one-of-a-kind spot is for all ages.